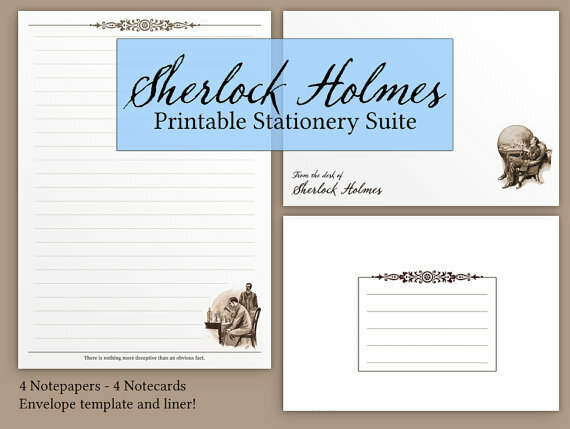 My Sherlock Holmes-themed stationery set is now available for instant download via my Etsy shop. The set includes four different styles of notepaper, personalisable notecards and an envelope (with optional liner). Featuring illustrations by Sidney Paget and quotes from various Sherlock stories, this is a gorgeous set to own or gift. For more details and previews, head over to the listings page.